What’s better than learning about a culture, traipsing about an outdoor museum, maybe learning how to farm, bake bread, or sail, all with a hands-on experience? I don’t think there is anything better. As a teacher, I can tell you, kids really do love to learn, especially when it has a “I can do it myself” bent. 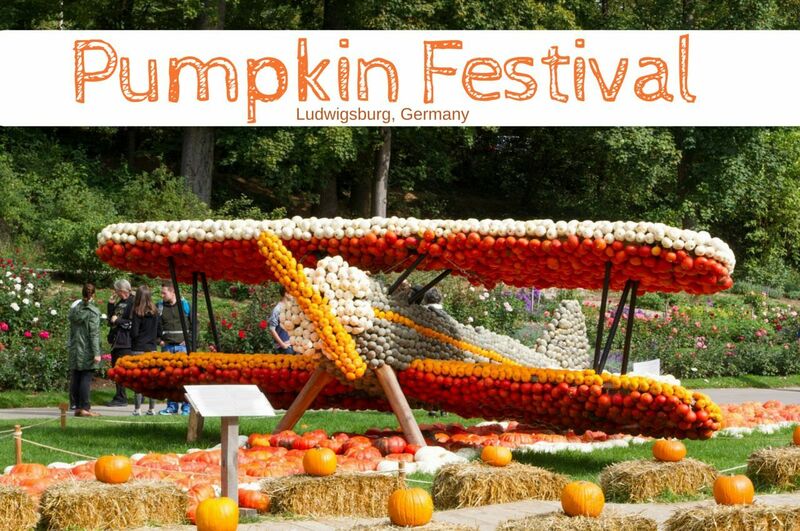 One place we like to go are open air museums, and Germany has plenty of them, at least one great one for each state. We’ve taken our students to a few of them, and when the results are in, we’re all winners! 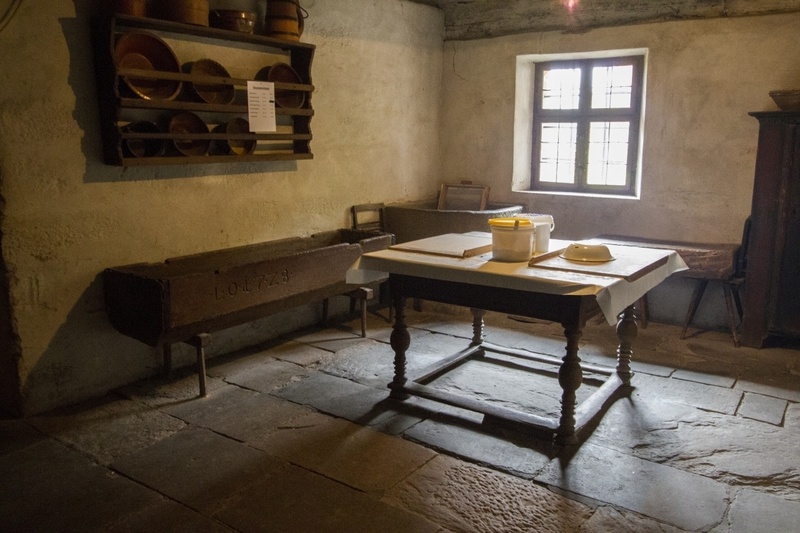 Typically, an open air museum has a collection of period houses and buildings, some that originated on the premises, but also some they’ve moved there for that purpose. All over Germany, you can find half-timbered houses, where the wooden frame makes geometrical shapes, and is traditionally filled in with a mud and hay mixture. While wandering around the grounds, all the buildings are left unlocked and you can go in and check out the rooms and furnishings at your leisure. Sometimes a docent will be present and sometimes not. 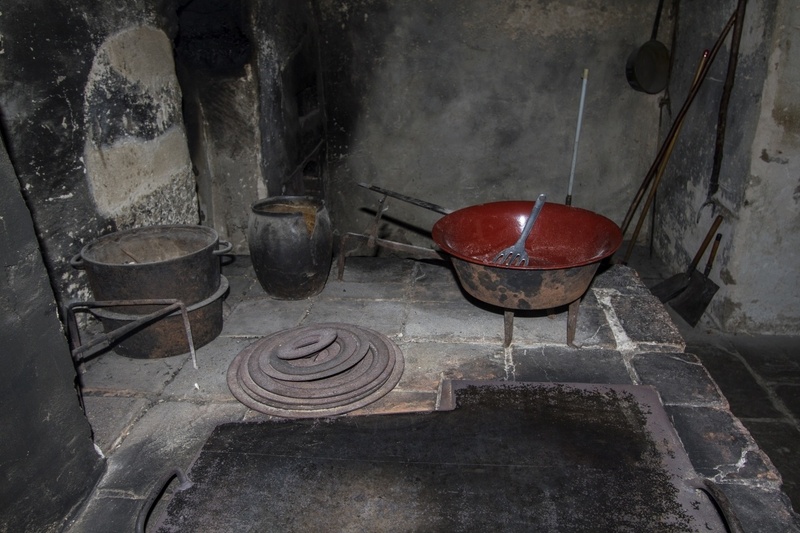 In the past, German farms included the stall for the animals on the first floor of the house. They did this because the heat from the animals would rise and heat the house during the winter. The only other rooms downstairs were usually a large kitchen area. Animal waste was shoveled and piled up outside through a barn window. The cows would spend the cold winters mostly inside, but when summer would arrive they would be taken up on the mountain to graze and brought back in the fall. These outings became cause for celebration. A flour mill, where we brought our wheat kernels to be ground. There are other types of buildings usually found on the site of the open air museum, such as chapels, blacksmiths, bakeries, and mills. 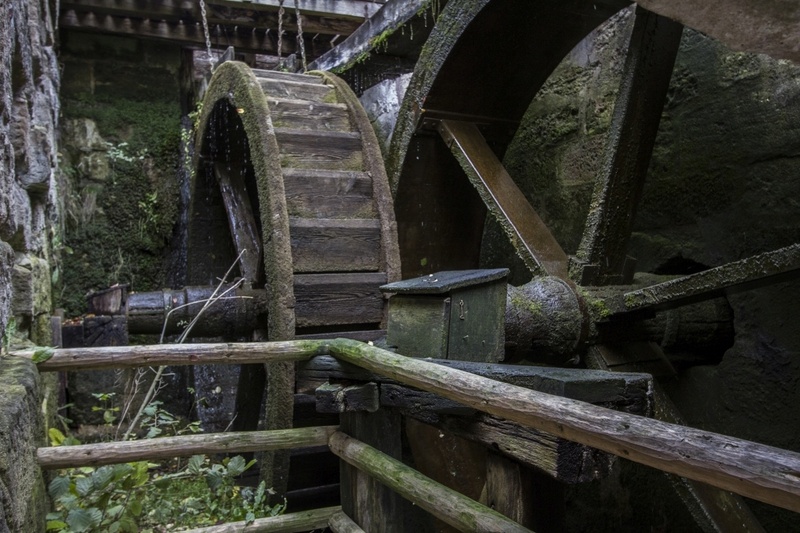 If you have a guide, they will most certainly tell you how the mill works. 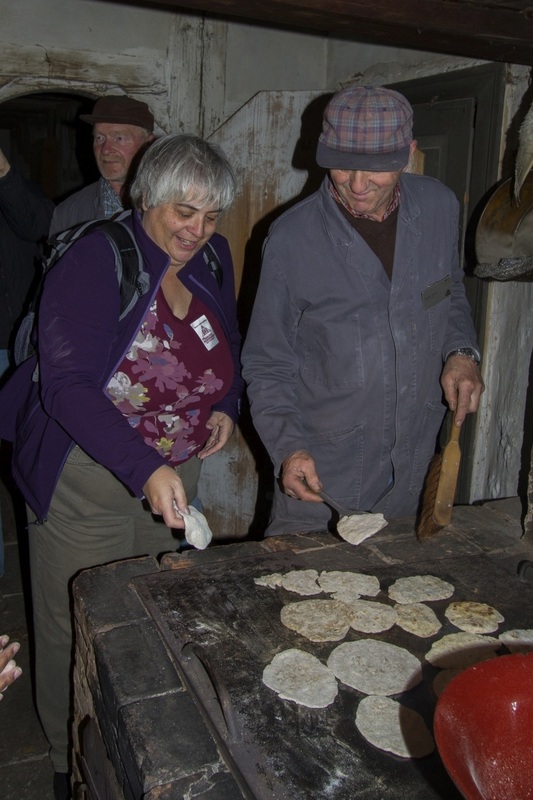 Many times the historical farms and outdoor museums do demonstrations of the different techniques used in the past, and also depending on your group size you can sign up for a class. The demonstrations are usually held on the weekends, so it’s a good idea to check the museum’s calendar of events, but the classes can be set up for any day. In the German freilichtmuseum, the cost of these classes are really inexpensive and well worth it. 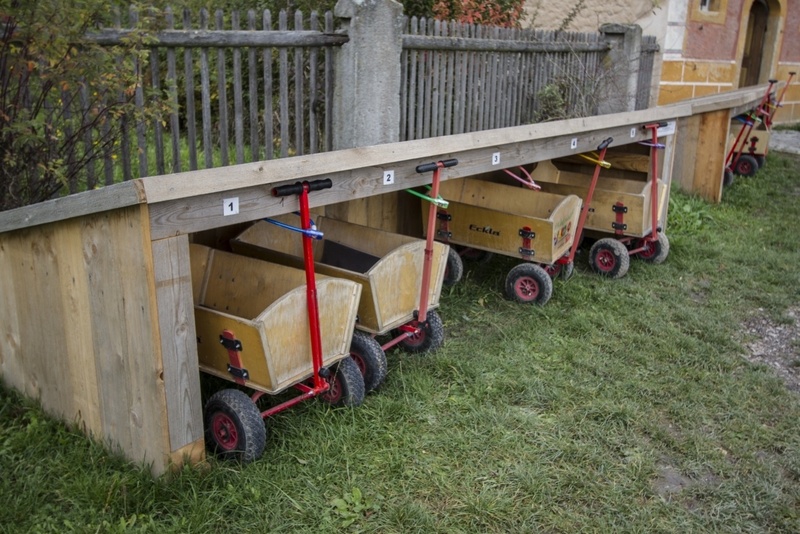 Threshers that the kids can try using. Making bread dough in a real classroom. Flipping my traditional bread like they did hundreds of years ago. One time my students and I took a traditional bread making class. It taught us first where and how the wheat was grown and cut. 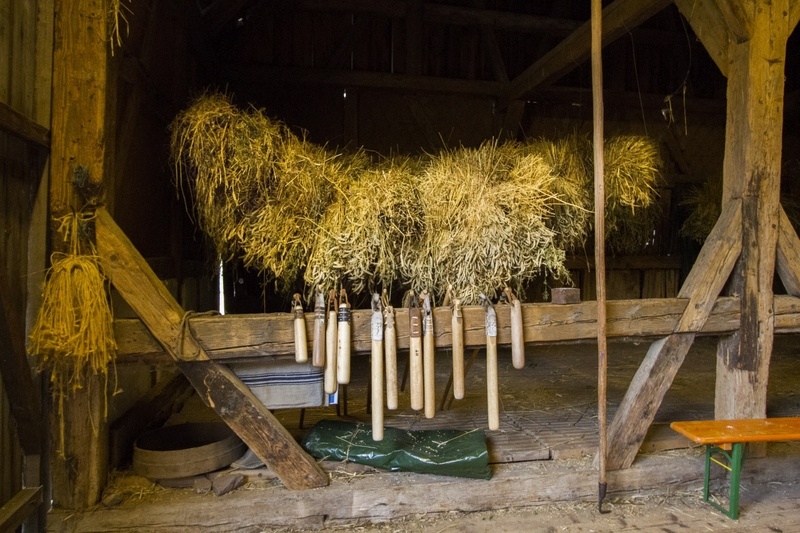 We then learned that the wheat kernels had to be beaten off the stalk, and we learned how to do this with the threshing mallets. 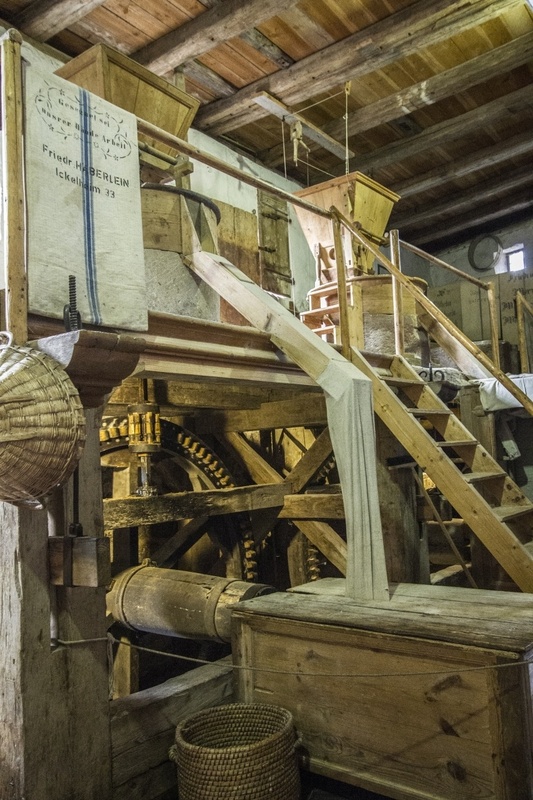 From there we walked our kernels to the mill, where we exchanged it for fresh ground flour. The flour we took to a farmhouse, mixed it up, and fried it on an old wooden stove. It was an amazing process, and one that the children talked about for months afterward; it was such a fun learning experience. There were plenty of other types of classes as well, and since we were all English speakers the museum provided us with an English speaking guide. I can recommend the first two of the following outdoor museums, but there are so many, and they are all unique in the types of activities they offer. 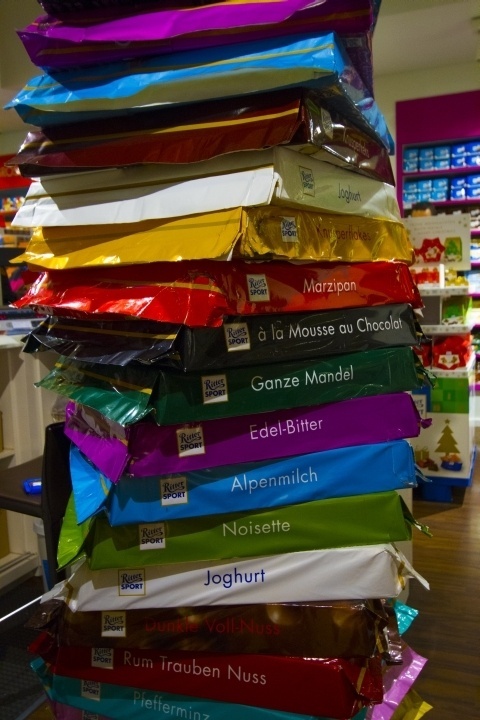 Just look up “freilichtmuseum” and you can definitely find one in any area you are visiting in Germany. Even if you aren’t traveling with too many people, email them with questions such as if you can take a class for your family. They are pretty accommodating. This is the one where my class did the “From Wheat to Bread” class. 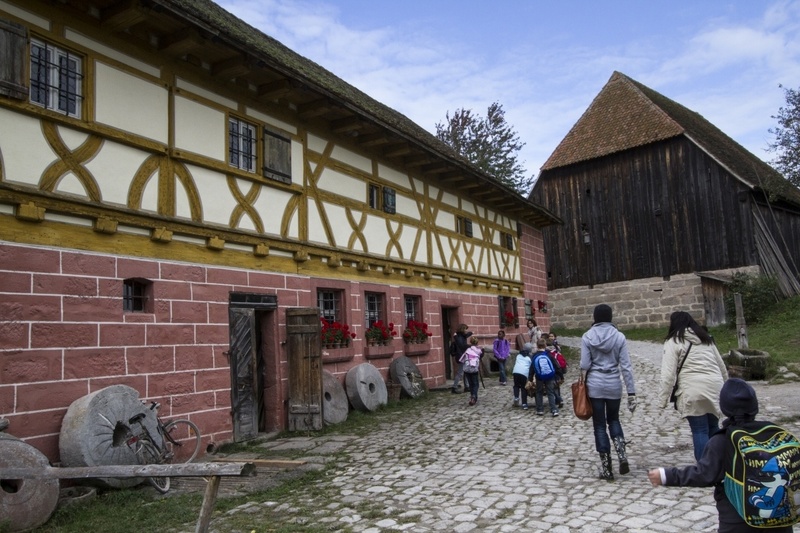 A walk around the Fränkisches Freilandmuseum is like travelling back in time through the past 700 years of rural life in Franconia. 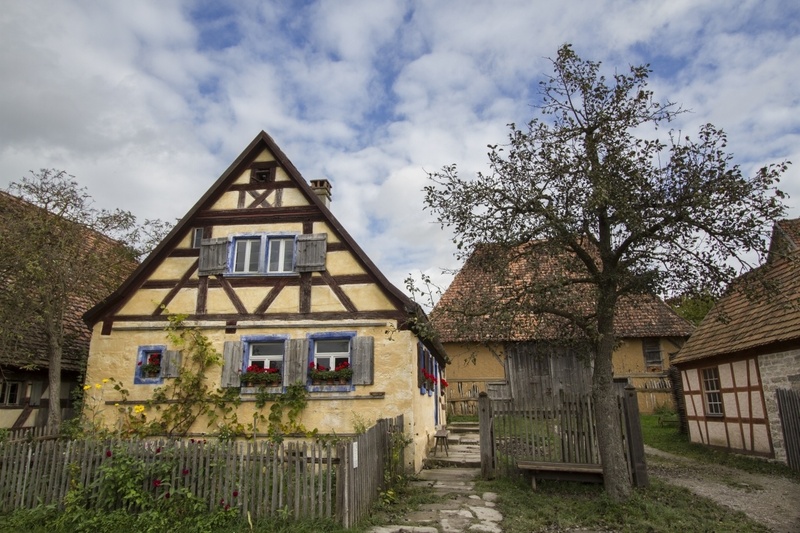 More than one hundred buildings, most of them furnished with authentic furniture from their period – farmsteads, craftsmen’s cottages, shepherd’s huts, barns, stables, bakeries, drying houses for fruit and flax, a school, a municipal building and a manor house – make for an amazing journey of discovery, showing how Franconian people lived, worked and built their homes in times gone by. I also took my class to this one. We didn’t take a class, but we did learn all about how coal is traditionally made. There are now 50 re-erected buildings, showing the various ways people lived, worked and built, according to region and social standing. The houses were originally occupied by farmers, smallholders, peasants, day labourers, weavers, herdsmen, millers, huntsmen and nobles. 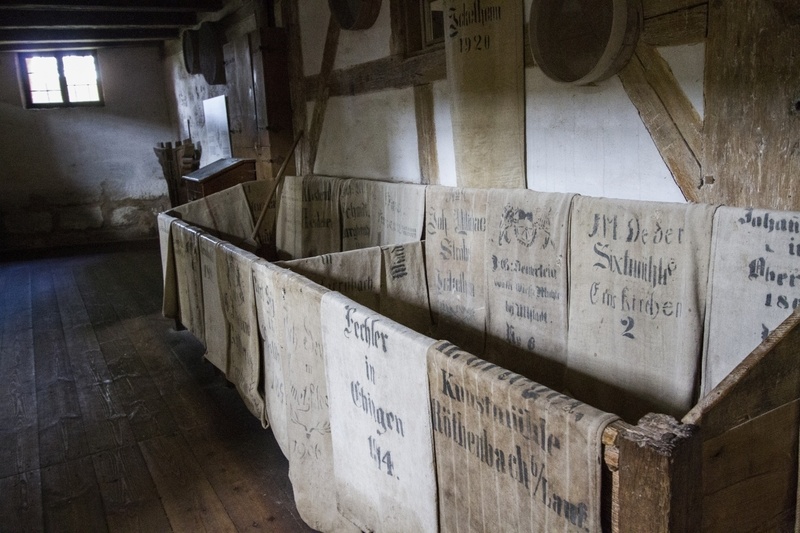 The Hessenpark Open Air Museum takes its visitors on a voyage of discovery of everyday life in Hessian villages of yesteryear. 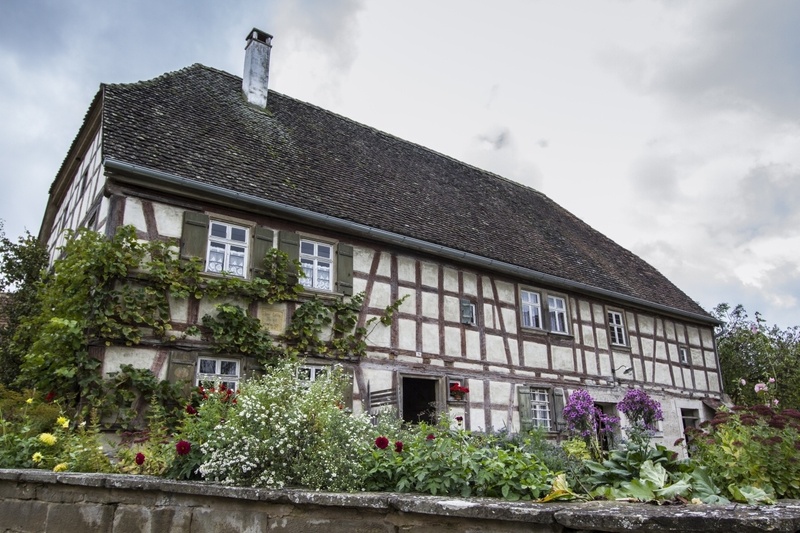 More than a hundred buildings from all over Hesse open up areas of adventure to the senses: the cool walls of a 15th century church, hard school benches from the turn of the 20th century, the rattling of dishes in a 1950’s pub. 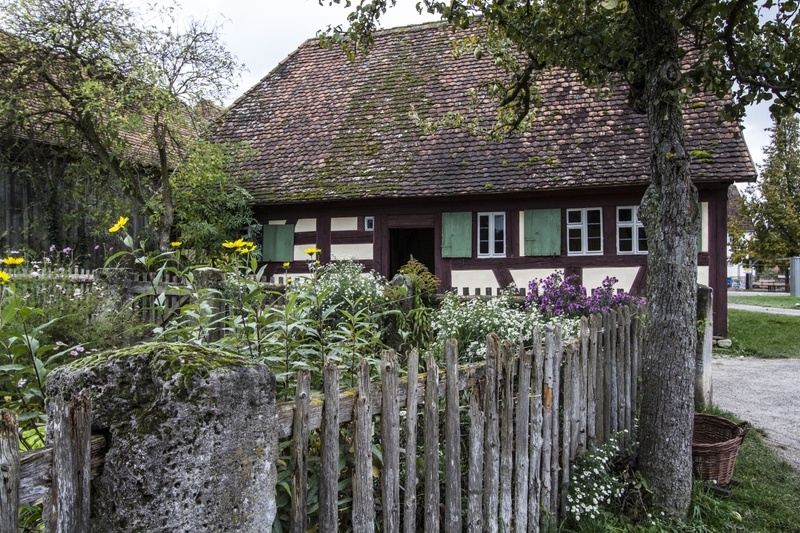 Whether carpentry workshop, bedchamber, whether stable or barn, Weber Haus, baking and wash house, town house and photo studio: the houses in the Open Air Museum Beuren, Museum of the district Esslingen rural culture, know a lot of stories from the previous day of the rural population. The buildings are from the regions of the Middle Neckar and the Swabian Alb. 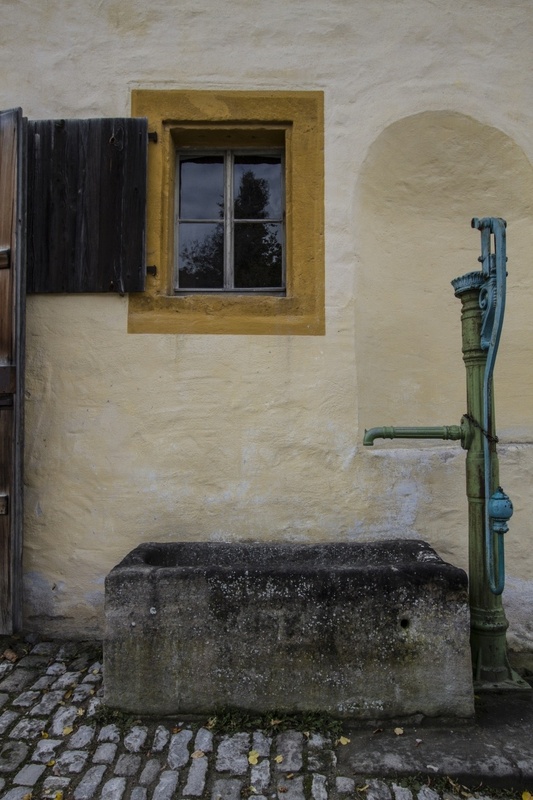 In and around the historic homes and farm buildings in the districts Esslingen, Ludwigsburg, Böblingen, Reutlingen and Alb-Donau living, working and life is shown bygone days. Bringing the history of the Lower Rhine Region to life. Explore the Dorenburg courtyards with half-timbered houses and workshops and learn how folks lived here as in earlier times. Discover life on the Lower Rhine in its various historical aspects: architecture and landscape as well as the traditions, economic and lifestyles of the people from our region. 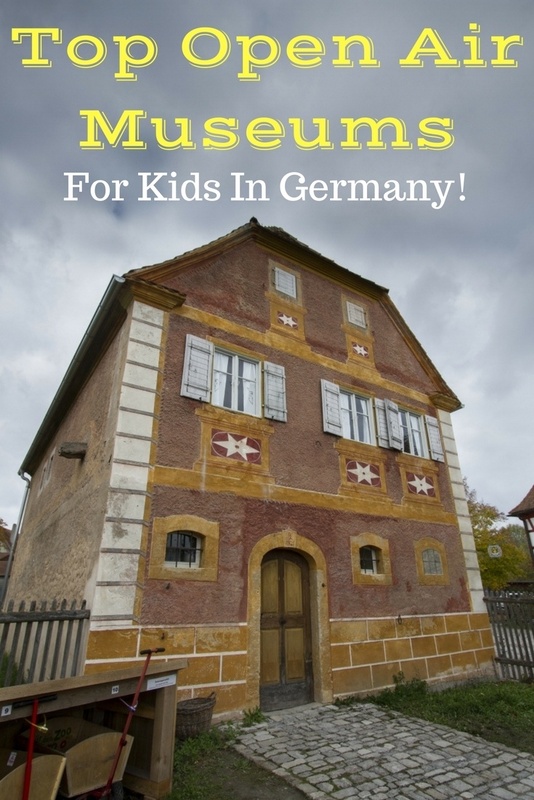 Other tips: The open air museums in Germany are designed for children, so there is always a place to eat on site or a place that you can bring a picnic lunch. You can borrow a bike or a wagon, sometimes strollers, or if you bring your own you can usually use them. And again, cost is minimal. They are well worth their money, and the kids get to run around, climb, play, and make noise. It’s definitely a good thing to add to the middle of your trip, for a break. What open air museums have you enjoyed around the world? Pin German Open Air Museums for Kids for later! This experience sounds great for the kids (and adults too). We so often lose our roots and history and this is just another way to remember how things developed and how people existed before our current day technologies. Rhonda, Exactly. Are there any great open air museums in New Zealand? They seem to have some nice museums for kids in Germany, Corinne. I’ve seen something similar in Stockholm: Skansen open air museum. These are great places for families with children. Anda, I agree they are all over the world, such great learning experiences. The New Travel Companion Challenge - Passports Or Pass?